5 Must Do Summer Activities in Korea! When it’s hot the last thing you want to do is go outside, but don’t let that mean sun keep you from all the fun things there are to do! Accomplish at least 2 of the 5 things on this list and I will allow you to pass out in front of your air-con with an ice cream. Oh the options at the Han River. Ride a bike, pitch up a tent and nap, go for a boat ride, go water skiing, banana boating, go swimming at the pool-what to choose! The river is normally a popular default weekend activity but it gets even more popular during the summer time, not to mention the pool is open! 2. Splish Splash – Water Park!!!!! No matter where you are, water parks are a must during the summer! 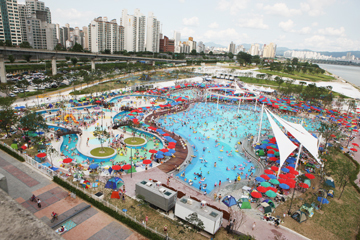 Caribbean Bay, Termeden, Woongjin Play Doci, Resom Spa Castle, Seorak Waterpia, and Vivaldi Park Ocean world. So blow up your wings and spray on that sun block and let’s go!!!! -Yes, I know, BUT horror films scare away the summer heat. Yes, even though horror movie season is in October in the US, summer time is the prime box office time to release a horror film in Korea. Why? When you watch a scary movies you get the “chills” and you get goosebumps! Yah, it’s kind of a corny reason but if that doesn’t work for you the theatre will be air conditioned. 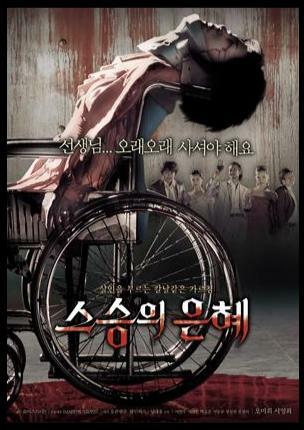 If you need a list of Korean horror films to get you started click here! Mud festival, sand festival, firefly festival, lotus festival, fireworks festival, ginseng festival, water festival-need I go on??? With good weather comes happy outdoorsy times and Korea is no exception. While I am not by any means recommending or attesting to the quality of ALL the festivals, I WILL say I have been to a few summer festivals and had a LOT of fun! Don’t lock yourself indoors with your air-con when there is fun to be had! 5. Long weekend? Busan or Jeju! Kick it! Nothing says summer time fun like the beach and for Korea, nothing says beach like Busan or Jeju. Having been to both I can say they are a definitely good times to be had. Busan is an incredibly chill city with some AMAZING seafood that you will gorge yourself on. Jeju is even more chill than Busan (if that’s even possible)!!! 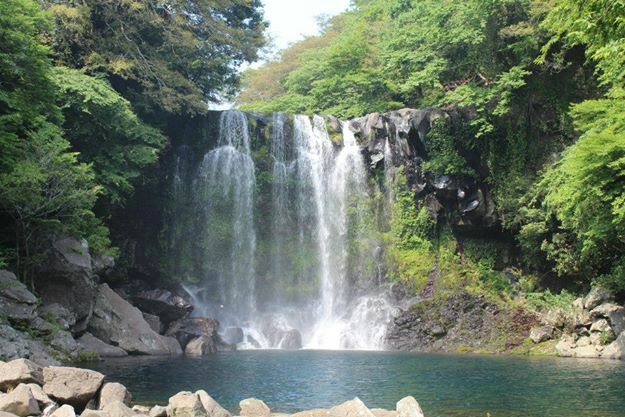 Jeju has an abundance of natural beauty and is a hikers’ paradise. Between waterfalls, volcanic caves, and the the tallest mountain in Korea (and Unesco World Heritage sight), Hallasan, there is a lot to do in see on this wonderful island. What must-do summer activities do you recommend? Do you disagree with any of mine?